Your arm was pinned in such a way during the impact that the shoulder was injured after ligaments, tendons, and muscles were torn. There was an injury to your shoulder from the seat belt. There are two important factors when considering the causes of your shoulder pain. First of all, shoulder injuries involve the soft tissues of the body – the muscles, tendons, ligaments, and connective tissue that holds them together as well as the bones that make up the shoulder. Anything that pull, stretches, or strains these soft tissues can lead to immeasurable pain. The second factor is your nerves. Within the shoulder, is the brachial plexus. This is a complete bundle of nerves that feed every part of your shoulder, arm, elbow, wrist, and hand. If this brachial plexus is injured, it can cause nerve symptoms such as immense pain, numbness, muscle weakness, and tingling sensations. This is the type of shoulder pain after an auto injury that needs immediate care and takes the longest to heal. Since chiropractors specialize in the diagnosis and treatment of musculoskeletal injuries such as shoulder pain, your St. Louis chiropractor will be an asset to your recovery. It doesn’t mean your chiropractor has to be the only health care professional involved in your care, but do make sure he’s on your health team. 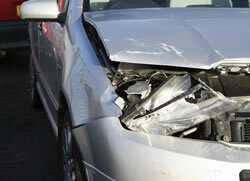 Your recovery will be faster and more complete with Accident & Pain Relief of St. Louis on your side. Kaiser, R. and Haninec, P. The influence of seatbelts on the type of operated brachial plexus lesions caused by car accidents. Journal of Hand Surgery 2012;37 (8):1657-1659.